Happy Holidays – Merry Christmas from Lucian Web Service! At the end of another year, we want to thank you all for your collaboration! We hope these Holidays to find you close to your family, far from worries & difficulties, with more hope & good wishes. Please receive our warm Season Greetings, good wishes for health, success & happiness! Merry Christmas! Happy Holidays! Have a great New Year! 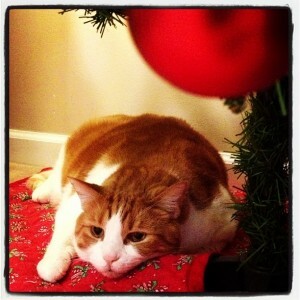 *Photo by LWS: Mr. Tom under the Christmas tree.